In the past few years, Swarovski has done some online only jewelry exclusives just weeks prior to the Christmas holiday season. Yesterday, the crystal giant sent out emails about the Swarovski Rice Siam Set, stating that this is a limited edition jewelry set of just 500 pieces and available this weekend only. 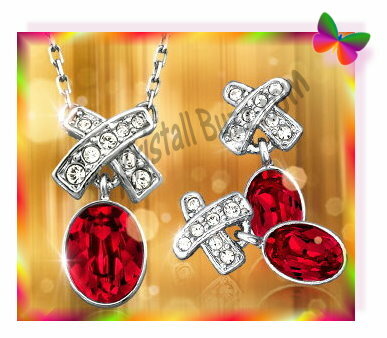 The Swarovski Rice Siam Set consists of a necklace and matching pierced earrings. 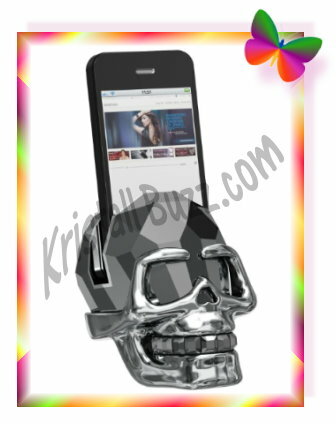 This limited edition is available online only December 2nd and 3rd at their web site shoppe. The retail price of the Rice Siam Set (identification # 1193976) is $125. The Rice Siam Set is rhodium plated with a pave cross shape suspending a red siam crystal stone. It looks like a nice addition to any holiday outfit for the upcoming holiday parties! If you like the Limited Edition Swarovski design, but are unsure about the ‘red’, Swarovski does have this same design in other colors! There one with a light purple feature stone: Swarovski Rice Provence Lavendar Set Limited Online Edition, one with a light blue feature stone: Swarovski Rice Aquamarine Rice Set, and lastly one with a light pink feature stone: Swarovski Rice Vintage Rose Rice Set. All four ‘Rice Sets’ have a sticker price of $125 each. Although I don’t recall seeing any official news about Swarovski’s weekend special in advance of yesterday, I believe they there were 3-4 of them in 2010 and 2011, so be sure to watch your email for more Swarovski Limited Edition opportunities in the upcoming weeks! In July, there was a formal announcement about the 2012 Steiff Swarovski Cookie, which is a limited edition holiday teddy bear. 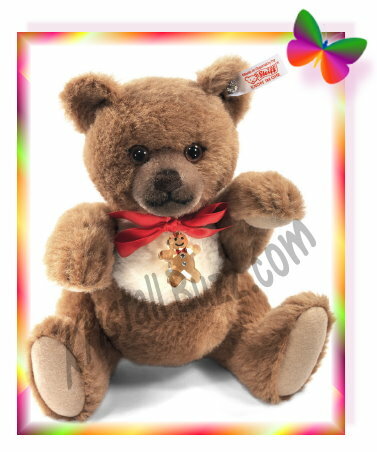 Swarovski Steiff Cookie is a limited edition bear, available only in the USA. This exclusive Steiff Cookie has a maximum production of 1500 units, that retail at $310 each. Cookie the Holiday Bear sports a Swarovski Twinkling Gingerbread Man around her neck, so it seems probable that Swarovski collectors and Steiff collectors will show sufficient interest for this bear to be a sell-out, though I have no facts to support this thought. The Steiff USA web site and stores in North America are accepting orders for this Swarovski teddy bear. Sunny-Bears.com is offering Steiff Cookie at a slightly lower price during the pre-order period. Crystal Exchange America has a few retired Swarovski Steiff bears, including Steiff Bear Crystal, Steiff Bear Jewels, Steiff Bear Poinsettia, and Steiff Bear Sapphire if you are looking for an limited edition Steiff – Swarovski Teddy Bear. I recently heard that Swarovski was changing the contents of the Silver Crystal formula to be “lead free”. So if it might become virtually lead free, does that mean that it contain(ed) lead? Well, yes, it contained lead, more than 30%! 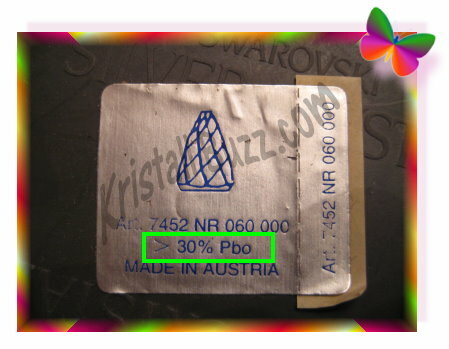 If you look on some older labels of Swarovski figurines, it can be clearly seen “> 30% Pbo”. Hearing of a possible formula change, I sought the crystal giant for official answers about a lead free Swarovski crystal, and here is the information received…. We are pleased to confirm that Swarovski has developed a new formula for crystals, which we call “Advanced Crystal”™. These cryse crystals continue to have the radiance, joy and sparkling abundance that Swarovski is famous for throughout the World. They are made using the same high quality standards that we always use. Whilst the precise details of the change are proprietary, we are pleased to confirm that this is a natural development for Swarovski. It continues our long term commitment to innovation, to the environment and to developing sustainable products. Advanced crystals can be used and adapted for use in exactly the same way as any of the crystals that we have previously produced. We believe that this is an exciting development for Swarovski and reinforces our reputation as the market leader for product innovation, product development and for manufacturing the highest quality crystals. This also applies to all figurine products, such as Silver Crystal. Far-reaching developments are afoot at Swarovski, with the announcement of a dramatic change to the DNA of its crystal. By September 2012, SWAROVSKI ELEMENTS will have its entire assortment switched to the new ADVANCED CRYSTAL standard a patented, lead-free** formula that is much more than merely compliant with the strictest laws on the planet. Hassle-free, rigorously tested and completely reliable, it is quite simply the most advanced crystal composition on the market today, providing perfect peace of mind. Please note, that the brilliance, the light dispersion etc. are not solely defined through the crystal composition but also determined by precision cutting, polishing and purity of raw materials all areas in which Swarovski takes a leading position in the industry. I found out that the recipe change applies to both clear and colored components used in assembling figurines. Since the modification took place this year (2012), that means that old-stock figurines may be purchased with the original leaded content, and that new nearly lead-free identical figurines can be purchased. The only difference is that the “Advanced Crystal” figurines may weigh slightly less. The famous Frauenhofer institute in Germany tested and confirmed that old recipe figurines and “Advanced Crystal” figurines have the same visual and optical resemblance. It would be interesting to set two identical Swarovski crystal figurines, one with leaded content and one with nearly lead free content, side by side to see if any of us thought we could tell any differences!